In one of her many adventurous dreams, Miffy takes a trip through the sky on a fluffy cloud. There she meets a bunny from another country, together they have endless fun playing with the stars and the moon. After their great adventure the happy but tired little friends fall asleep. 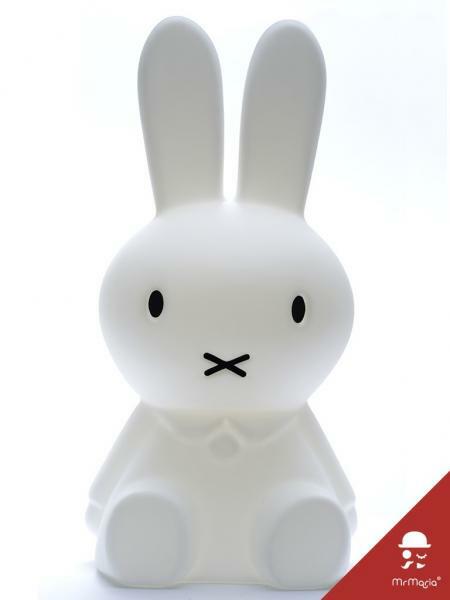 Open the window and let Miffy's dream float into the warmth of your home. 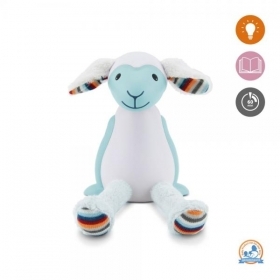 Here Miffy can shine her soft light and watch over your child's hopes and dreams. Let Miffy float into your room. Here she can shine her soft light and watch over your child’s hopes and dreams. 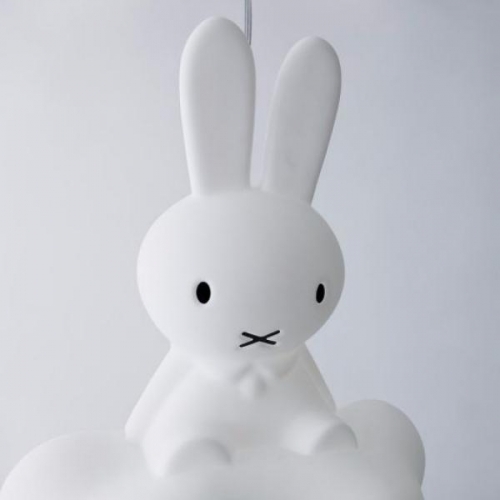 Miffy's Dream is a 53cm high pendant lamp and comes with a 5W saving bulb.